Having a huge “tactical” view on markets here is very hard. US indices have continued moving within the trend channels and the slow melt up has taken many by surprise. Hegde funds are underperforming as they still don´t believe the rally. Will this eventually make them throw in the towel and go “all in”? Hedge funds are evaluated on an absolute return basis, but when the pension fund invested sees the performance between the hedge funds and the SPX, they are surely getting a bit uneasy having parked so much money with the “absolute” returning hedge funds. 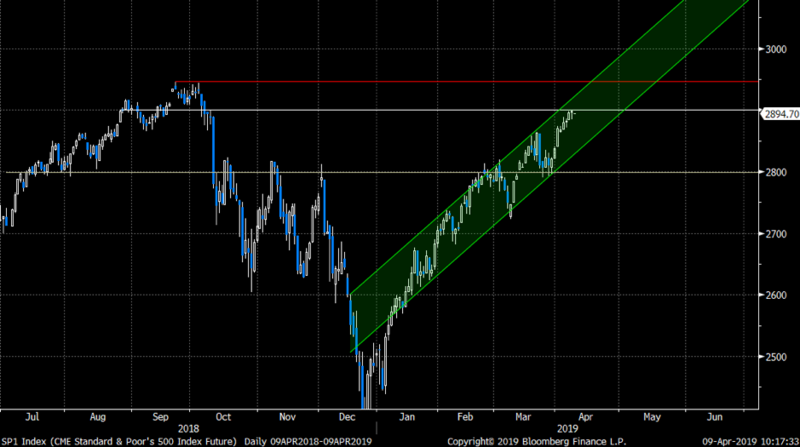 SPX is inside that trend channel, but approaching huge resistance levels. Complacency or not, but it is time to start thinking about replacing longs with cheap options, revisiting the downside hedges etc. 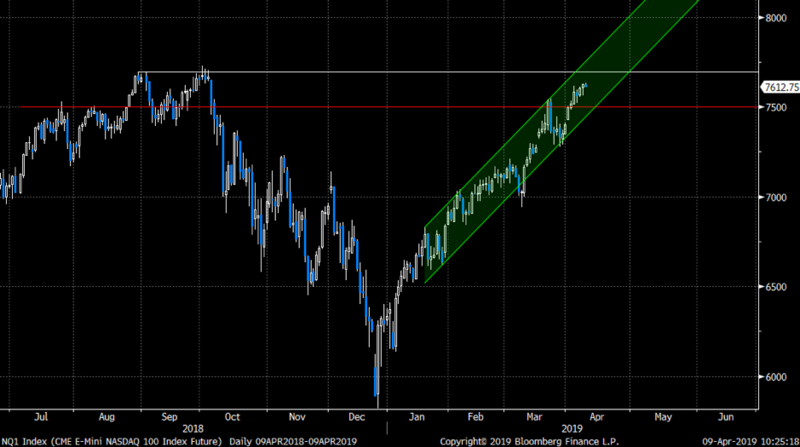 NASDAQ looks similar to the SPX. The channel is intact, but we are closing in on huge resistance levels. 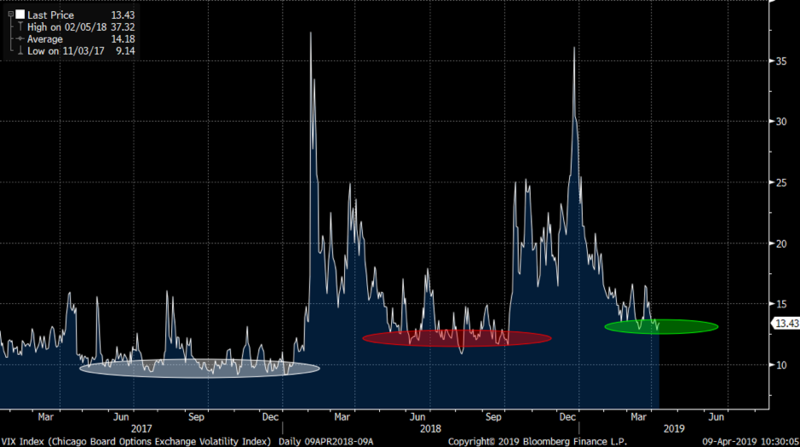 Volatility has been imploding and VIX is down to some sort of a “natural floor”. Note VIX has traded lower, but recently this area has been somewhat of a base. Overall equity volumes have been declining, despite markets pushing new highs. 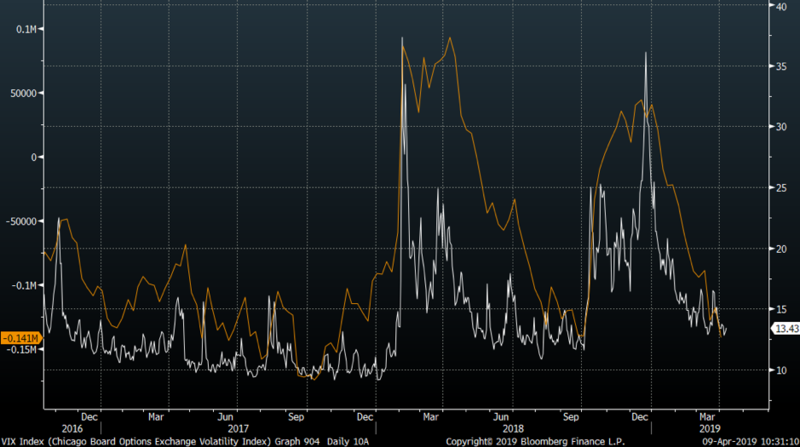 Latest out from JPM’s derivatives quant, Kolanovic, explains the extreme negative correlation between liquidity and volatility. Volatility spikes simple “kill” liquidity. It was a long time ago we saw volatility rock the markets. Given how far we have bounced, and how calm everything trades, we can’t but wonder how this could transform should some sort of volatility shock come into play. Below chart shows that the net non-commercials in VIX have all loaded up on massive VXI shorts. This does not mean the VIX must spike higher imminently, but it sure risks exaggerating moves should this start to move, again. Chinese Investors going “All in”? Did Aramco Sell the Oil Highs? Chinese “average Joe” behind the Bitcoin Surge?